The two-hour broadcasts are produced by the Philharmonic and syndicated around the world to hundreds of outlets by the WFMT Radio Network. 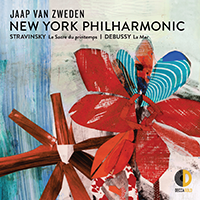 The show is heard in the New York metropolitan area on Classical 105.9 FM WQXR, in Europe through the EBU, and in China on Shanghai Dongfan 94.7. We love to hear from you. Click here to share your feedback.